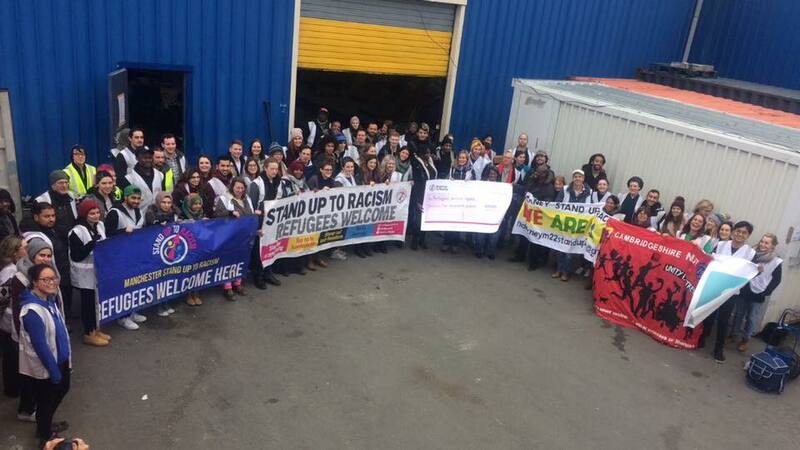 Totally amazing day today in Calais with Stand Up To Racism. They brought energy, vitality and (very important) generously given money – yey! – to help our team of hard working volunteers . As ever fantastic partners to have. Looking forward to planning the rally on March 18 2017 for UN Anti-Racism Day with you.